The Socialist Republic of Vietnam is Southeast-Asia’s most populous and – from an economic standpoint – most dynamic country. The young, well-trained population, the perfect geo-strategic localization on the border of China and the insular Southeast-Asia, as well as the labour and the knowledge-centric traditions grant the country exceptional possibilities. Hungary strives to fully profit from these opportunities – building on historical tradition. According to GLOBS Magazine, Vietnam follows South Asia’s model for development: the political system is stable, the leading role that the Vietnamese Communist Party plays in the country’s political sphere is unquestionable; the economy, in accordance with the so-called doimoi politics, is governed by private initiatives, creating a state-controlled mixed economy that is also open to domestic and foreign private equities. As for the results; they’re rather impressive. The country’s gross domestic product (GDP) in 2016, too, was growing at a pace of over 6%, and the foreign direct investments (FDI) have turned out spectacularly as well. The greatest investors include countries like South Korea, Japan, Singapore, Taiwan, not to mention European countries like Germany, France or the United Kingdom, who invest more and more in Vietnam. Samsung overtops other South Korean companies: it invests several billion dollars every year. In the Hanoi area, the company is considered the greatest employer. In their opinion, the taxes put on companies are favorable, and it is worth for foreigners investing here. 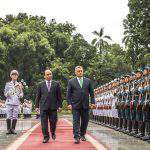 One of the spectacular successes of the Eastern Opening Politics is Vietnam. The bilateral goods turnover rose to 200 million dollars in 2016, a 40% increase compared to the previous year. 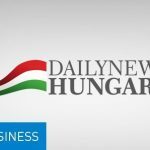 Hungarian exports rose by 13%, imports by 64%, its value reached 76 million dollars and 124 million dollars respectively. Our bilateral foreign trade deficit for goods amounted to 198,1million USD in 2017. The focus on the possible enlargement of our bilateral relations falls on food industry, agricultural technologies, water management, pharmaceuticals, medical devices, ITC, environmental protection, renewable energy and different devices. Hungary is devoted to the development of bilateral economic relations, one of the major elements of which is the aid credit framework of 500 M EUR given to Vietnam for future projects in health care, ICT, education, agriculture and water management. Thanks to previous aid credit agreements, the water treatment project of Quang Binh and the informatical project of Hai Phong have already been completed. The two countries’ relations date back to several decades. During the Vietnam War, Hungary had supported North Vietnam, in accordance with the then bipolar world order. Within the framework of this advocacy, several thousand Vietnamese students had studied in Hungary, who are now present on the top tier of their chosen career field, many of them in leading positions in diverse state and private institutions of the country. 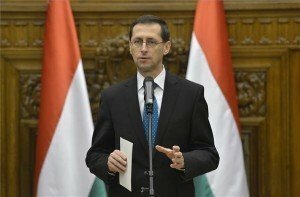 They do substantial work to popularize Hungarian culture and sciences in the country, and constitute important pillar concerning economic and politic relations between the two countries. During the past decade, educational cooperation has been spurred. 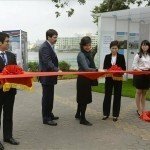 On July 29, 2013, the Exchange Program between Ministry of Human Resources of Hungary and the Vietnamese Socialist Republic’s Ministry of Education and Vocational Training was launched. The Exchange Programme implements for Vietnam the Hungarian Government’s Stipendium Hungaricum fellowship programme, within the framework of which 100 Vietnamese students are granted admission into Hungarian institutions of higher education. 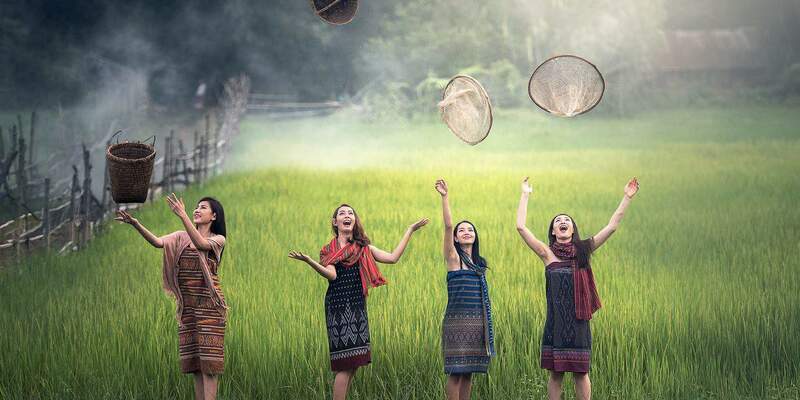 On the occasion of the opening of the FAO Region Center, the Hungarian State offered 20 scholarships to Vietnamese professionals working in the field of agriculture for achieving a Hungarian master’s degree. 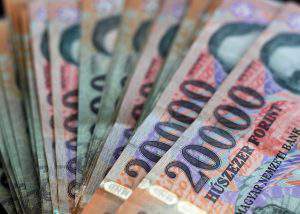 Currency exchange – Hungarian forint – 02.08.2017. Currency exchange - #Hungarian #forint - 02.08.2017.